Good morning, sorry, I need to interrupt our comic with an announcement. 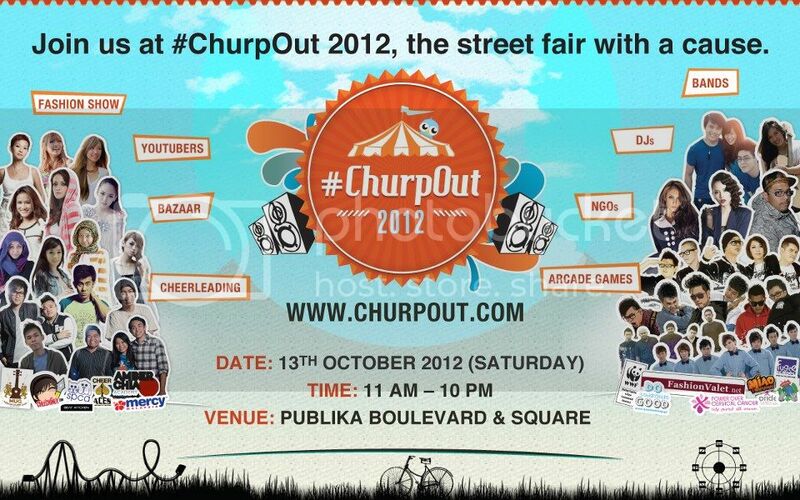 Chingy and me will be at Publika this coming Saturday for the Churpout event, so do come and meet us up!! X) The events will be from 11am to 10pm but I will be there from 11am to 3pm. Me and Chingy was talking about it the other day and thought what if we put on costume to cover our face then we can still meet people while being anonymous. And we figure it would be fun too to suggest each other what costume to wear. Then I thought, a box would be the most perfect costume ever. Anyway, do come and meet me up cause it will be more awkward if no one visit and I’m sitting there swinging my house fly bat like a guy who can’t sell his Nasi Lemak. I promise I won’t bite. Oh, if you want me to draw your anything, just bring your book, planner, anything. I will draw for you. X) Just don’t bring your whole assignment for me to draw. 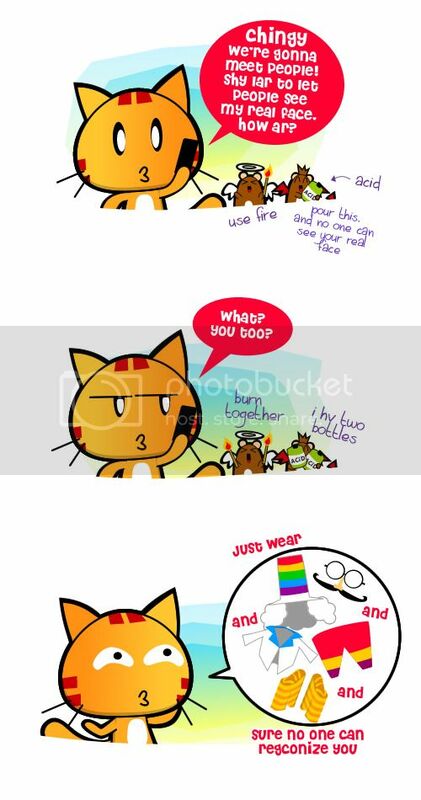 hahaha..
Posted on October 8, 2012 by Jian Akiraceo. 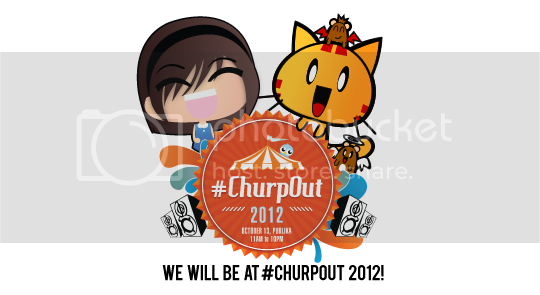 This entry was posted in Announcement and tagged best costume 2012, churpout 2012, miao wafu pafu real face, publika. Bookmark the permalink. hahhaha i don’t XD don’t worry. yerr~.. i also wan u draw for me!! T^T but is too far… i can’t goo~…..
cannot, later Dafu eat me. o ya… i forget about dafu… o.o.. how was he?.. 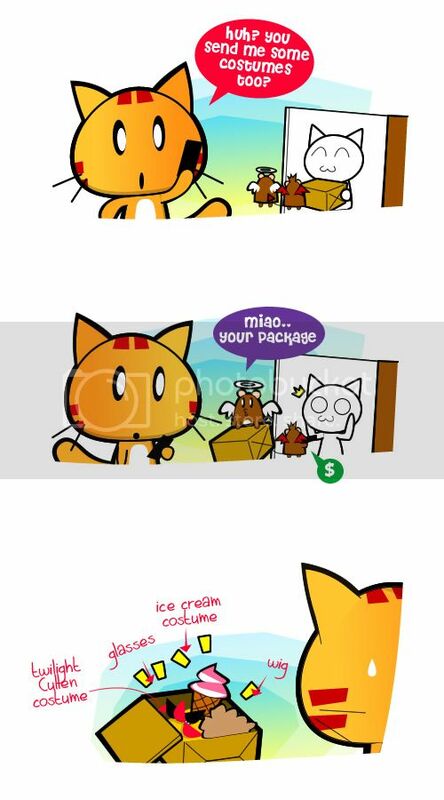 missing him oredi… o.o….